Enya. Photo by Simon Fowler. It’s been seven years since the talented singer Enya released new music. The author of the timeless hit “Only Time” returned last November with her new record “Dark Sky Island”. The singer talked to Balkanrock about the album’s themes, travelling, long break and working with producer Nicky Ryan and lyricist Roma Ryan. BR: What is the theme behind “Dark Sky Island”? Enya: There is always a theme that occurs when I write songs with Nicky and Roma, there is always an unintentional thread that somehow imposes itself. Here it is journey, but it can be an emotional journey, there are many emotions on the album. BR: What kind of journey? 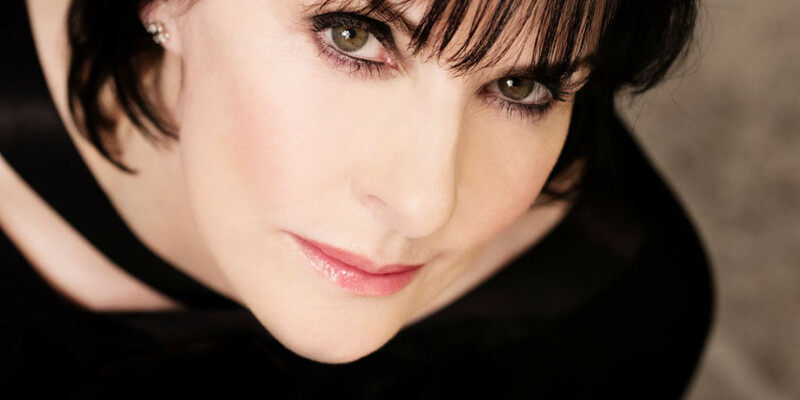 Enya: The title song is about a journey to an island, “The Humming” is about a journey into space. “The Forge of the Angels” is also about a journey – a travel theme has evolved on the album. Enya: It happens with families, you know. One of the songs, “I could never say goodbye”, speaks about loss. It can be loss of someone who died, I believe that with age it is inevitable to one day lose someone very dear to you. BR: You mentioned that the death of Nicky’s mother touched you because you had lived with her ​​family in the beginning of your career. Enya: Well, mother shapes your life when you are very young. “So I could find my way” is about what mothers do, how they want the best for you. But then you have to leave. If you have a life dream, then they are the people who are there at the very beginning of it. Maybe you’ve moved on, moved to another town, but they will always be dear to you. In important life moments, when you are disappointed, when you are excited, they are the people with whom you want to share. BR: The song “Even in the Shadows” sounds unusually rhythmic compared to your other work. Was it harder to work on than your other songs? Enya: Working on that rhythm was different for me because I would work on it for a while and then I would work on other things. Then when I came back to it, I played the melody to Nicky. So it was a different approach. You may have noticed that there were different approaches to certain songs. BR: It’s been seven years since your last album “And Winter Came”. Why did it take so long? Enya: I took a break, a long break. It would take me two to three years to record each album since “Watermark” because of the way I work. We are only three people to work on the music and I’m a very slow composer. I need to be sure that the song is exactly what I want to say. It is not just writing a melody. BR: What must a song have for you to say “this is going to be on my album”? Enya: The melody must connect with me emotionally. Then I sit down with Roma and she writes lyrics that I feel I can identify with, that are what I want to say, so it can take a long time. That is why we have a gap of two to three years between albums. After “And Winter Came” I really felt that I could not write for a while, I felt that I needed a break. BR: For how long did you not write music? Enya: For about two years I just thought: no, no and no. I felt that I needed time to gather more inspiration and to live my life. I travelled. BR: When did you know you could write again? Enya: I waited until I felt that I had enough inspiration to write an album. BR: How did your surroundings react? Enya: When my record company asked me if I planned to publish an album that year and I would say no, it is not good, I need more time, they would be very easy to understand. They know that when I say no, that’s it. But it was very exciting to come back and I felt very anxious. I thought – well, I did it, I had a break, it was great, I did everything I wanted. Then I remembered that I love writing and performing. When I returned back I felt it was a natural progres. BR: What was different this time compared to the previous albums? Enya: It was the thrill of launching an album that was challenging to make because of that big break. It was as if this was my first album again, I did not know who would be the listeners. Enya: Yes, they are so easy to understand, to the point that when I say that I’m going to take a long break, they accept it with understanding. They say they know that you’re going to take a break, but that they look forward to your next album. And this is very encouraging because when you take a break, the question is whether you’ll return to the studio. BR: Where did you record the album? Enya: In our studio with Nicky and Roma. So it was the same, it was still the same as what we had done before, but I felt that this time we could try anything, and it seems that it had not always been so. Maybe this album had the freshest approach because it was the first time that we felt this way. BR: When you work in the studio do you stay in touch with the outside world and follow the news? Enya: For me it is important to stay in touch with the news, I like to hear the titles. The rest is just speculation and you don’t know what the outcome will be. It is a part of not wanting to get involved. But you must in some way listen to what is happening around the world. BR: Where did you get the inspiration for your music? Enya: It would be Roma’s poetry, because her lyrics can be very poetic when you read them without music. This is something that has always worked for me, one sentence in which nothing more needs to be said. Each verse means something in Roma’s poetry, you can interpret a lot of your own thoughts and emotions. It is a very universal and I love it. BR: Do you decide how a song should sound at the beginning of the writing process? Enya: That’s the approach behind many of my songs. I try not to lose sight of what I’m trying to say. If we take a soft approach, it is because the melody is delicate and needs it. BR: “Echoes and Rain” is atypically optimistic. Enya: It was a great day and I just wanted to sing about it. That was again a different approach but I didn’t question it. I wrote the melody and it was the first word that worked the best, it was “Alleluia”, and the rest kind of followed and blended in. BR: Do you always agree with Roma and Nicky when it comes to songwriting? Enya: In the studio, there are moments when you have to move on. It is hard for me to compromise when trying to decide on an arrangement because Nicky has ideas so different from mine. So it’s like – my idea, his idea – sometimes it becomes a little personal. And then the best thing is to say no. You shouldn’t be afraid to say what is right or wrong. BR: You live very quietly. What about your travels? Enya: It’s nice to travel with a promotional team, because I get to work with a lot of people and really get an insight into what is going on in their lives. It’s very different from going on a vacation to a country and staying somehow distant. Loved this interview. Thanks for the translation. Love the new albumDark Sky Island. Love the new album Dark Sky Island. I wondered if you are the astronomer? I’me impressed. You have obviously been to the southern hemisphere to have seen Alpha Centauri. Look forward to more great music and lyrics. Where are you this moment? only in my dreams. You’re missing, but you’re always a heartbeat from me.